Cancer can be beaten the majority of the time – though not with mainstream treatments that target just the symptoms of cancer. Beating cancer means eliminating existing cancer cells and the root causes which enabled cancer to gain a foothold. Furthermore, cancer can be prevented and obviously the best way to beat cancer is to never get it in the first place. 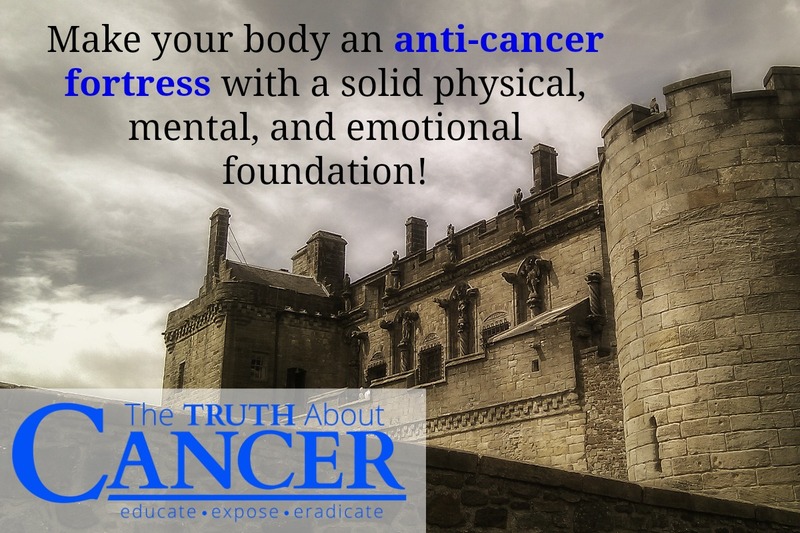 Simply put, cancer is a cellular defensive response whereby cells revert to a more primitive form of existence – the anaerobic lifestyle- and then mutate into cancer cells which replicate and refuse to die. Frequent exposure to toxins causes cells to turn cancerous: especially cells which have not been properly nourished, cleansed, hydrated and oxygenated. The immune system is our natural first line of defense against cancer. Thus, in addition to eliminating cancer-causing toxins, building and maintaining a strong immune system should be the cornerstone of a good cancer-fighting and cancer preventing foundation. Such a foundation will likely require changes in diet, lifestyle and more; but the payoff will be well worth a cancer-free, healthy life. Toxins play critical roles in the development of cancer. Make every effort to eliminate toxic chemicals from your environment by getting rid of items such as commercial cleansers, cosmetics, pesticides, herbicides and any other items which contain man-made compounds which could be ingested or absorbed through the skin. The Environmental Working Group has a wealth of information about toxic products and safer natural alternatives. A number of healthy natural items can be used to rid your body of toxins; including cilantro, chlorella, lemon juice and pure living water. Additionally, health outlets offer many safe, natural cleanses and flushes for the entire body, including the liver, gall bladder, kidneys and blood. Replace bad dietary food choices such as processed meats, sugar, junk food, fast foods and highly processed foods with cancer fighting foods such as cruciferous vegetables, garlic, hot peppers, and green leafy vegetables, to name a few. The more complete your nutrition, the stronger and more healthy your body and immune system will be. Despite the oft-repeated mainstream myth, it is virtually impossible to obtain optimum nutrition from diet alone. Consider adding items such as super green food supplements and a superior comprehensive vitamin, mineral and nutrient supplement. Be sure to choose supplements which are organic and whole-food derived. Cancer pioneer Max Gerson observed that he never found a single cancer patient who did not also have an impaired liver. 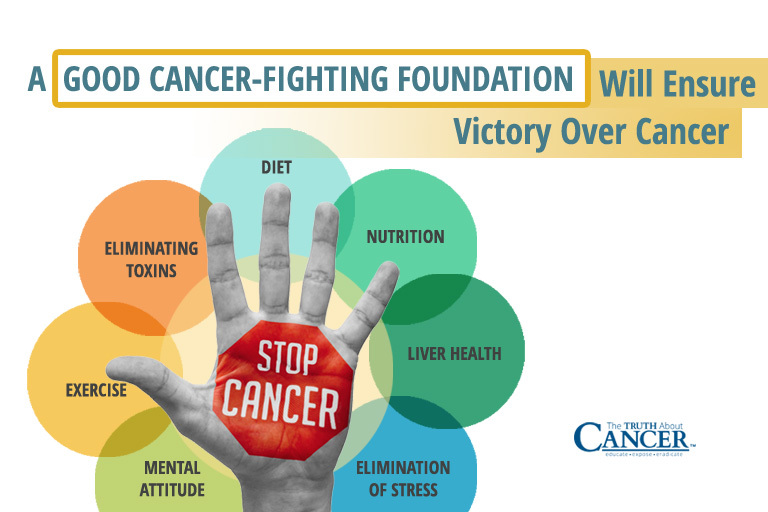 A successful cancer treatment program will likely result in the release of a large amount of toxins and those toxins could dangerously overwhelm an impaired liver. Thus, cleansing, protecting and regenerating the liver, as well as opening the bile ducts are essential. Stress is indeed “the silent killer.” It leads to disease and impairs healing. As much as possible, eliminate stressful situations – including stressful people – from your life. Exercise, or at least moderate physical activity, can play a key role in ensuring that toxins are eliminated and the body and natural immune system are strengthened. After years of giving the opposite advice, even mainstream medicine now advises exercise for people with cancer. Do the right things, choose a good, natural anti-cancer protocol, and BELIEVE that you will beat cancer and the odds are very good that you will do just that! Hi, my husband has just been diagnosed with CLL Leukemia. What should he do to fight this naturally? I was just diagnosed with testicular cancer had surgery and was told there was a 50% chance the cancer would return in my lymph nodes, It was recommend that I either have the lymph nodes removed or I do chemo. It is possible to fight this cancer naturally and if so how can it be done?